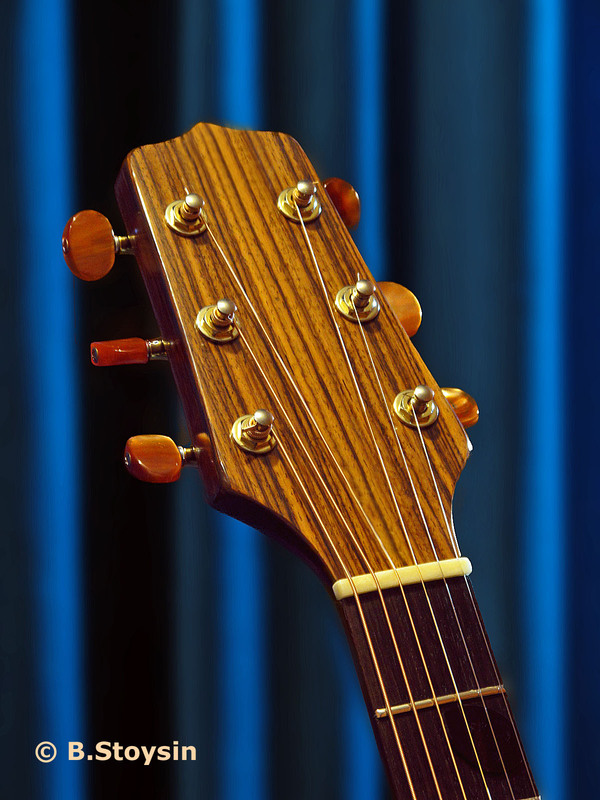 GUITAR MAINTENANCE When it comes to a subtle guitar maintenance just ask yourself this question: Who knows better those SUBTLE adjustments that make BIG difference to playability and feel of your guitar? A mere guitar repairer that actually doesn’t play himself/herself professionally or a guitarist with over 3 decades of playing, teaching and recording professionally, having several guitars which are all customised (with custom built pick-ups etc) and guitars that he sets up and maintain all himself? In my spare time I've always loved and have done this kind of work. 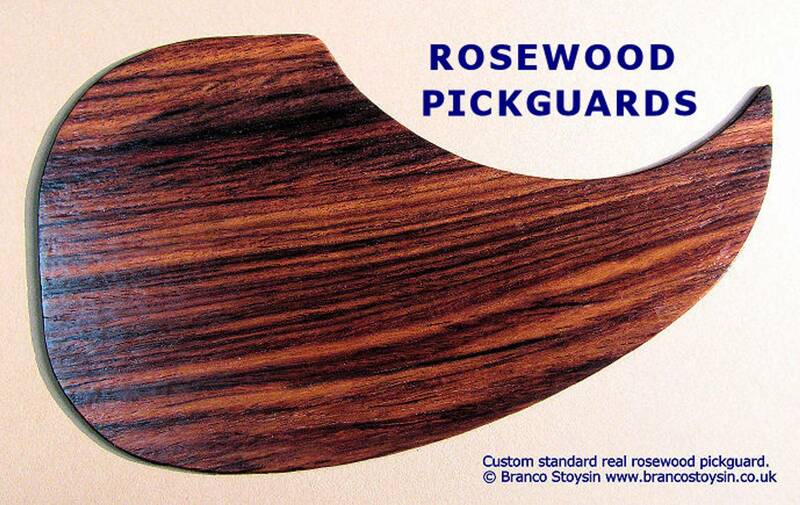 ROSEWOOD PICK-GUARDS. 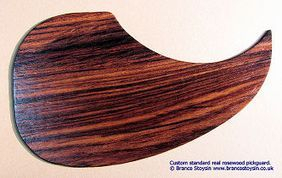 I can make a real rosewood custom pickguard. Can make pretty much any shape/size. This is a painstacking craftsman and very delicate work that take around 7 days to complete but the result is an art, a truly beautiful custom pickguard! So it's time for your new custom pickguard or to replace that ugly plastic or tortoiseshell one? Click on images samples above to see large photos. Full instruction on how to stick your custom pickguard on guitar included with every order. To buy go to Webstore. 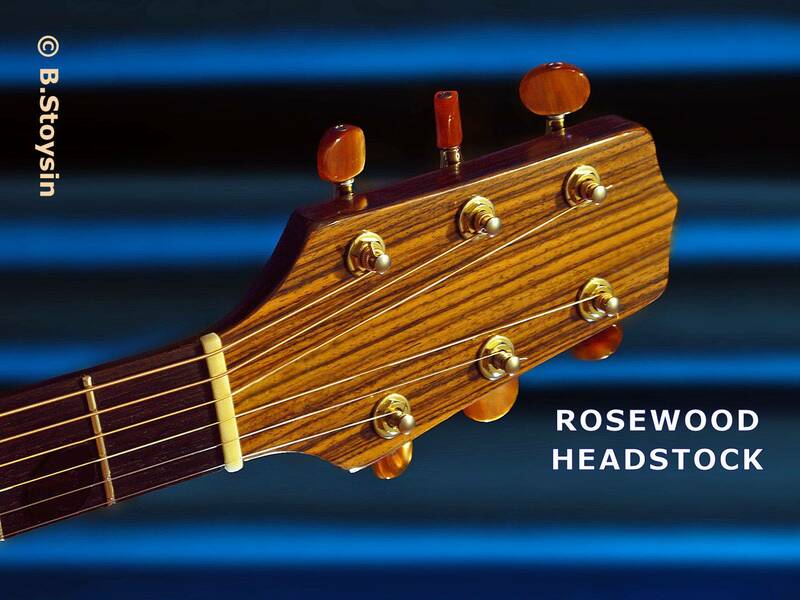 CUSTOM ROSEWOOD HEADSTOCKS. Make your beloved guitar more personal with these beautiful rosewood headstock, I can make these, takes around 7 days to complete. Click HERE for a larger image. NOTE: only fascia of the headsotck is decorated, the haedstock itself is not changed! 6. 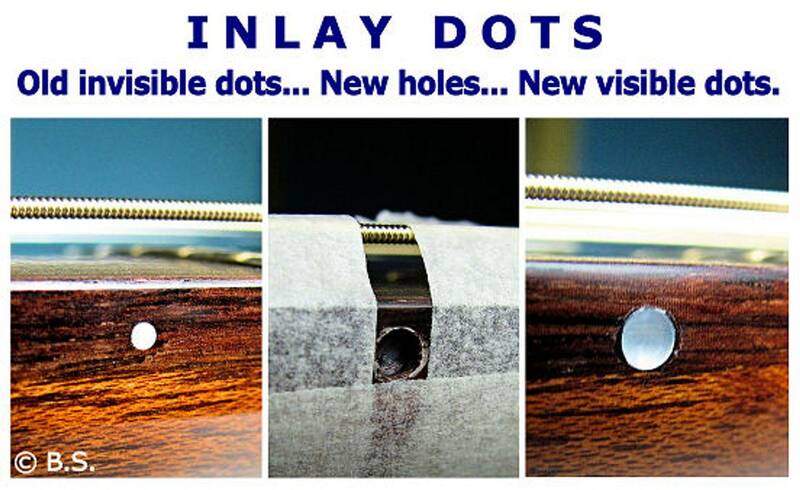 Inlay bigger dots on the top side of the neck, that guitar manufactures make ridiculously too small, not thinking that a guitarist won’t be able to see them on dark stage! 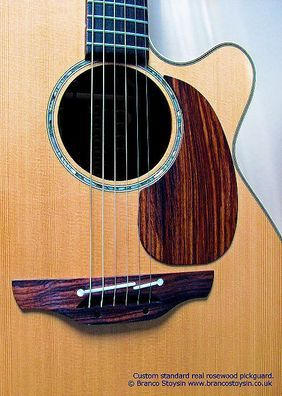 TAKAMINE GUITARS EXPERT: As I've been playing TAKAMINE acoustic guitars for over 20 years now I know these guitars inside out. 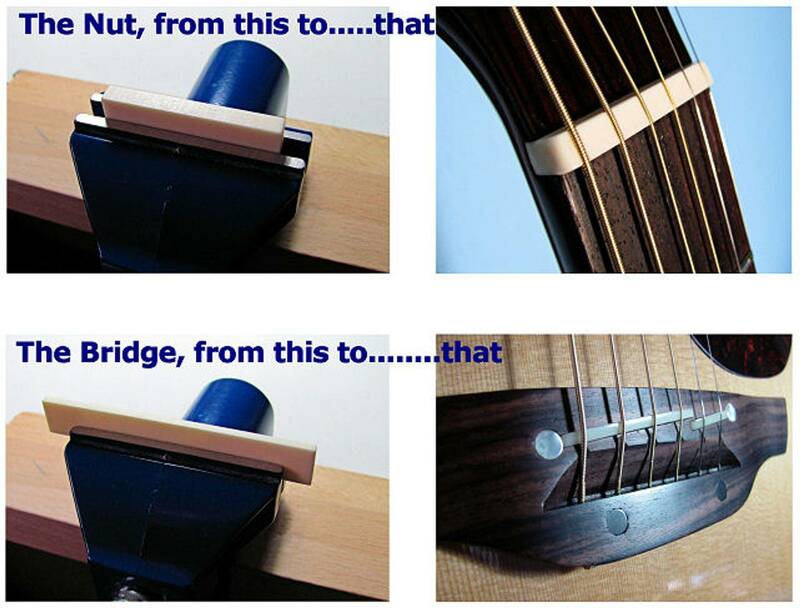 So if your beloved guitar needs some fine adjustment and care go to Contact page and get in touch. Most of the work can be done while you wait or within an hour or so, except fret dressing, new nut/bridge making and wiring, that may require a bit longer to accomplish. EXCLUSION: do not do derelict state instruments though. 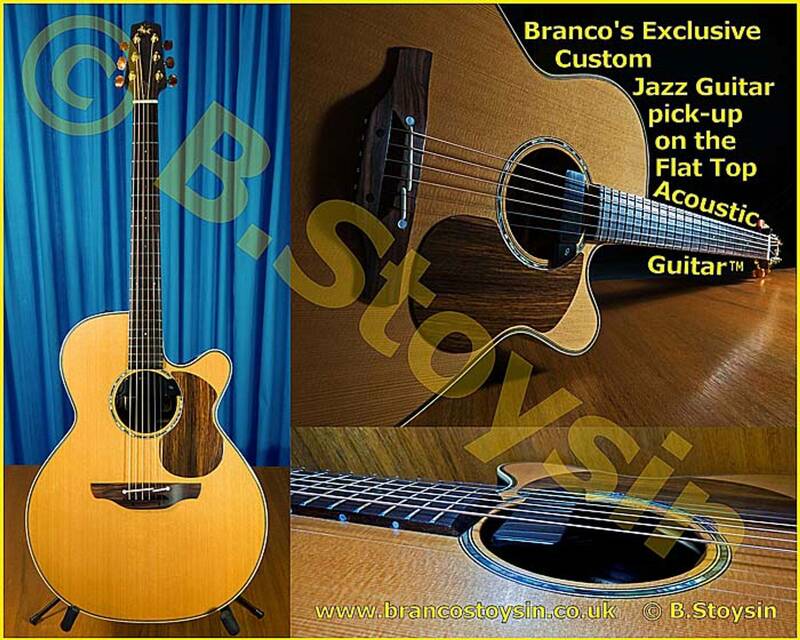 your guitar, you keep the bronze strings too while retaining all the natural acoustic sound. If your guitar is fitted with a piezo pick-up too, by mixing both pick-ups you’ll broaden your sound palette to the new levels. That way you’ll have an acoustic guitar and a jazz guitar, and all the sounds between, all IN ONE. And, having two pick-ups also gives reassurance when at gigs in a case your piezo pre-amp fails (this can happen!). Acoustic guitar with the jazz pick-up on it sounds great going through Polytone and AER amps, PA and in studio. I’ve been using this unique bespoke setup on my guitars for over 15 years now. Click HERE for larger jpg image. on my Hear Me Live page of the website. 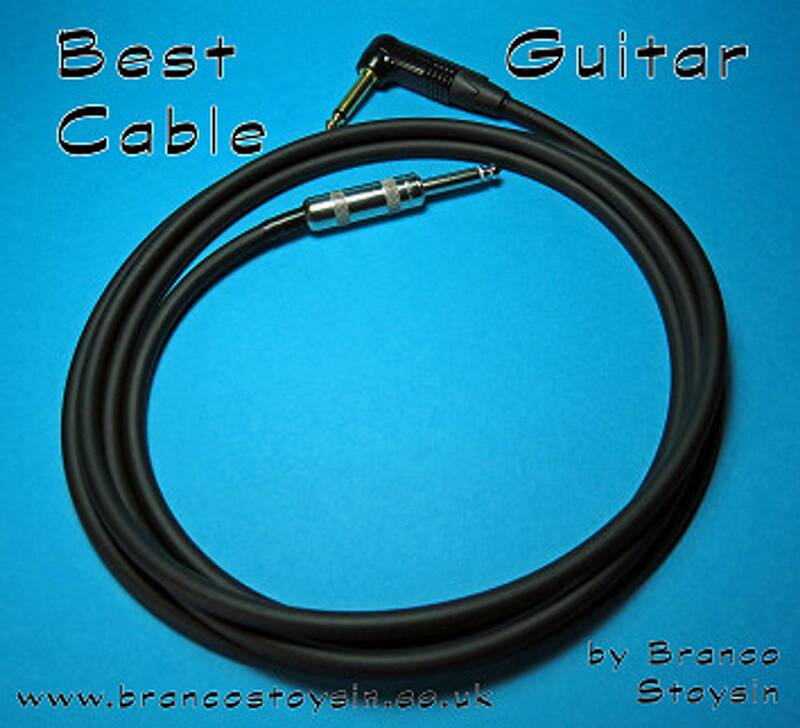 THE BEST GUITAR CABLE that (not much) money can buy! Hand made by Branco from highest quality components, a German made special guitar cable, with zero interference and loss to your guitar pick-up signal or attenuation of high frequencies, and the Neutrik tribor-gold hard-alloy angle jack and America’s best the Switchcraft straight jack. I’ve been exclusively using these self-made cables for over 20 years and they’ve never let me down. Have your made by a guitarist himself (not a mere factory worker) to your own length specs. Jacks can be both straight or angled as desired. Price include material and postage for Special Delivery. To buy go to Webstore. 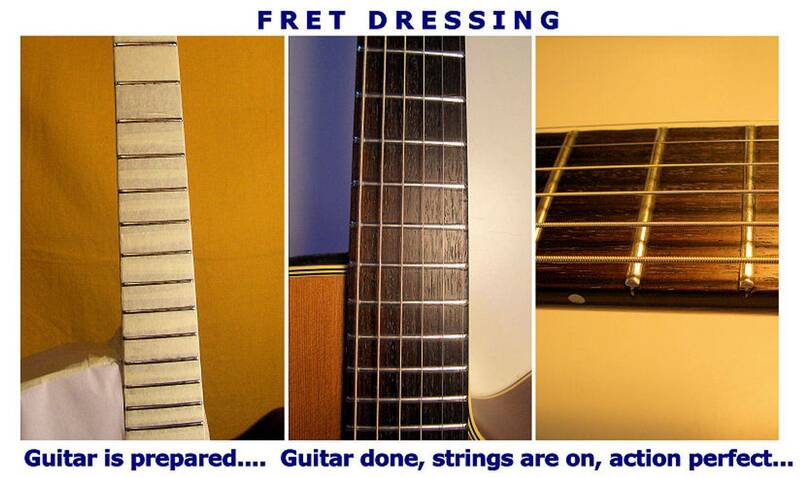 VIDEO > how to properly restring your acoustic guitar. To learn how click here or on video below.